One of the best fighting games ever, "Soul Calibur" not only offers you a fantastic plethora of fighting moves, characters and action, but also the chance to bury your PlayStation friends into the ground with its oozing graphics. 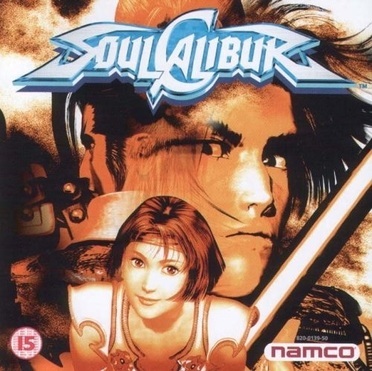 Based on the great old fighting formula, you chose to play one of 19 characters in their individual quest for the ultimate trophy "The Soul Calibur". Yet the game doesn't just rest on its fighting laurels; it offers a whole host of gaming options: arcade mode, versus mode, team battle, time attack, survival, mission battle and art gallery modes. With choices ranging from how many characters you can defeat before you yourself are knocked out to working on a team level with multiple characters, it seems unlikely that this game will not keep you amused for quite sometime. If all this isn't enough, the game also opens up as you play. More characters, levels and even an art gallery of production and gameplay stills become available the more you play and the more you complete. If you want the choice of all the characters, you need to complete the game with every character first. What Namco have done is create a great game that also acts as a benchmark to anything else that follows it. The graphics are the best you're likely to see on the Dreamcast with both characters and scenery getting their fair share of the processing power available. Normally, fantastic graphics make for sometimes poor gameplay, because too much time has been given to putting that shine on the product, yet here, nothing has been hindered, creating a game that is superb. --"Stuart Miles"